Guests to Blossom can discover the triumphs of Chinese cuisine through a 100-dish line up that spans every preference, from comfortably classic to cutting-edge. The meticulously researched menu offers the best of China's culinary wisdom tailored for the western palate and a more contemporary Chinese collection brimming with trend-forward dishes fresh from Beijing and Hong Kong. 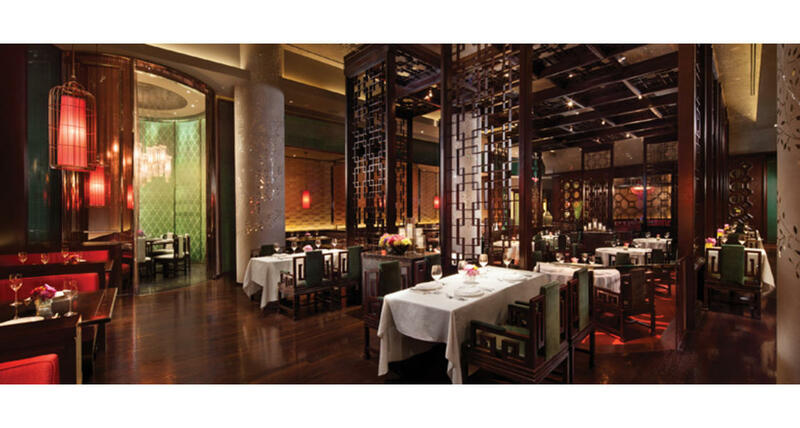 Blossom's modern decor brightens traditional Chinese design principles with a contemporary color palette. Bursting with exotic ingredients, intoxicating aromas and welcome surprises, Blossom invites to its table fans of both classic and modern Chinese dining. The restaurant's diverse menu, printed in both English and Chinese, allows diners to traverse the expansive terrain of China's gustatory heritage, with generous listings of appetizers, soups, meats and seafood, noodles, rice and vegetable dishes. Many dishes, designed for western tastes, offer smart modifications of the classics, while others venture into less-charted territory with authentic traditions and nouveau discoveries straight from China's urban centers.